Nature knows best when it comes to survival and self-governance. When nature is healthy, we are healthier too. After all, we rely on the natural world for air, food and water. There is a growing realisation that connecting with wild nature makes us feel good and keeps us mentally and physically well. Rewilding is the restoration of ecosystems where nature can take care of itself. It encourages a balance between people and the rest of nature where each can thrive. Recognising and supporting biodiversity helps the development of local economies, allows people to re-connect with wild nature, and will make our country a better place to be. We know that rewilding provides hope for the future and if we can learn from others and agree actions, we can map out a plan for better times. Achieving this ambition requires new and innovative approaches and our Rewilding the Future Conference, with leading naturalist Chris Packham, intends to do just that. As well as bringing together over 100 businesses and organisations to share knowledge and information, we’ll be holding three mini hacks to come up with new perspectives and inspiration for everyone and, importantly, agree a course of action across the North East of England and beyond. Hack #1 – What are the barriers and challenges we have faced in the past, present and future when it comes to rewilding and biodiversity projects? Hack #2 – What are the achievements and successes to-date, and projected for the future? Hack #3 – Can we form partnerships, collaborations and future projects and opportunities with those in attendance and tap into their networks? We’ll be capturing all discussion outcomes and agreed actions with a view to producing a ‘green paper’ style report following the conference. Tickets are limited so book up now. After all, actions are louder than words! Thank you to Northumberland Wildlife Trust for the images above. 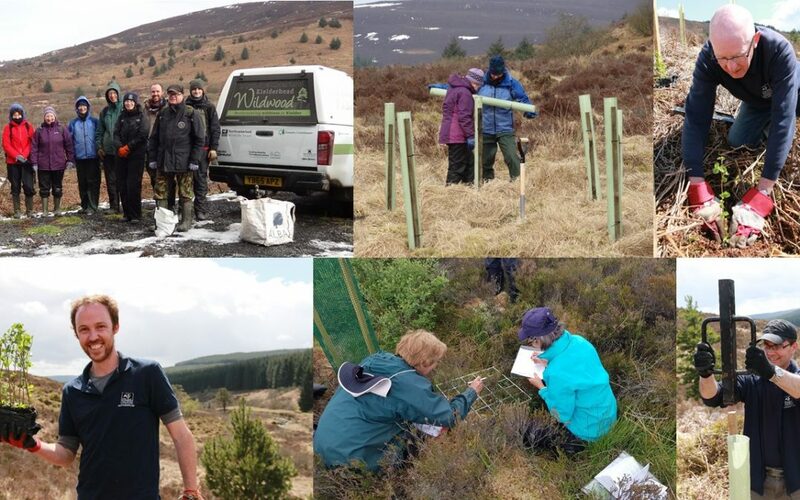 Kielderhead Wildwood is a partnership project with Forestry Commission made possible thanks to National Lottery players and a grant from Heritage Lottery Fund.